Hi Today i am going to tell how to create a Simple Responsive Menu Using css3 media screen and jquery, Now a days all are doing Responsive website, That means to fix all the contents in all the screens like tab and mobile and desktop, laptop. Now a days Lot of people using internet through Mobile and Tabs , So that only the Responsive concept has been implemented. The Responsive Templates helps the customers to access the contents very easily because the contents and website are fixed the the particular screen no need to scroll left and right. 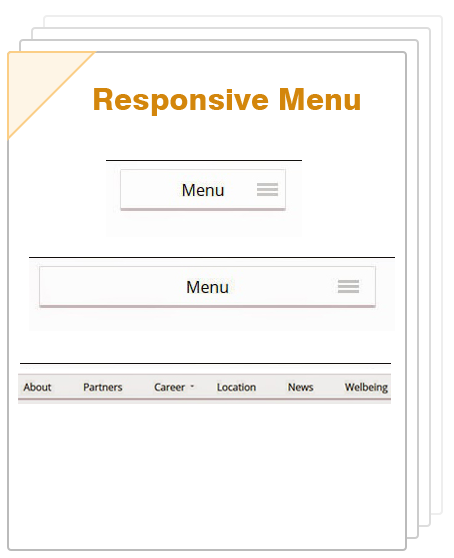 so that the menu is very important to website so we will see how to create simple responsive menu using css and jquery. Responsive Design view press ctrl+Shift+M in Mozilla Firefox.